To say that Spartacus has a very loyal and dedicated following is an understatement. Looking back, Spartacus has it’s own sub-genre, the Swords and Sandals Spectacle. It’s spawned multiple look-a-likes and many made-for-television sequels and TV shows. I’ve always been a fan of a good gladiator story and this is the best. It gets the nod for Best Movie Stunt over the Alamo for 1960 because of influence and it’s simply harder to perform stunts in what constitutes as a skimpy Speedo. The stuntmen who worked on this film is a venerable who’s-who of the elite, top stuntmen of the time, including Yakima Canutt and his two sons, Tap and Joe, Richard Farnsworth, Harvey Parry, Tom Steele, Buddy Van Horn, Dale Van Sickel, Polly Burson, Carey Loftkin, Loren Janes, Cliff Lyons, and so, so many more. 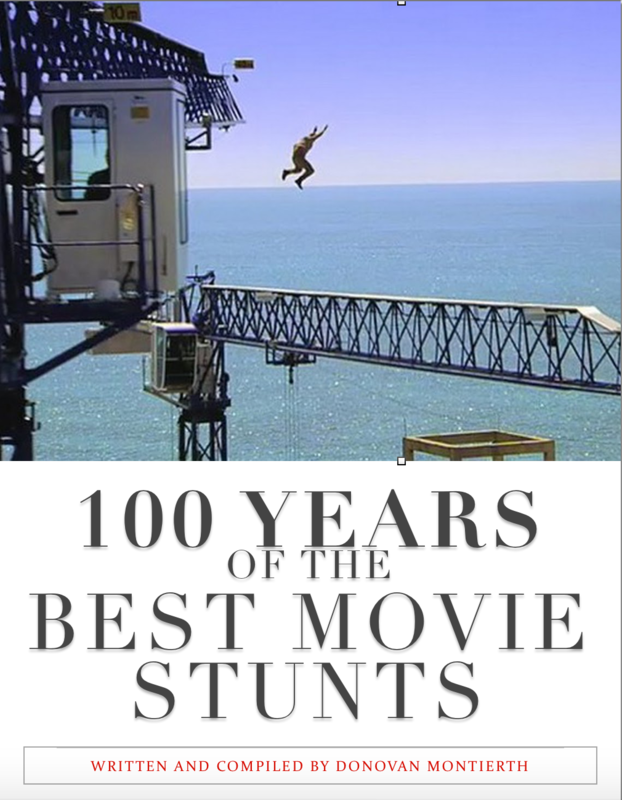 The film is really a tribute to all the men and women who worked on it and should be required viewing for anyone wanting a career in the stunt industry. The interesting story behind the making of the film is that it wouldn’t have been made if it wasn’t for Ben Hur the year before. Kirk Douglas was so upset that he lost the role of Ben Hur to Charlton Heston that he set out to prove to William Wyler that he made the wrong decision. It’s by the sheer will of Douglas alone that this film got made. He searched for it, bought the rights to it, financed it and hired everyone to work on it. The first director he hired, he even fired a week into production. He replaced that director with Stanley Kubrick, but even Kubrick admitted years later that the film is really Douglas’s and not his. Kubrick did not have say in script and many of the elements that Douglas put in place. Kubrick denounced the film later as his worst, but in the end it won four Academy Awards and was nominated for two others. It’s kind of hard to argue with that kind of a record. By most people I know, it is regarded as the best gladiator movie of all time and the father of the genre. 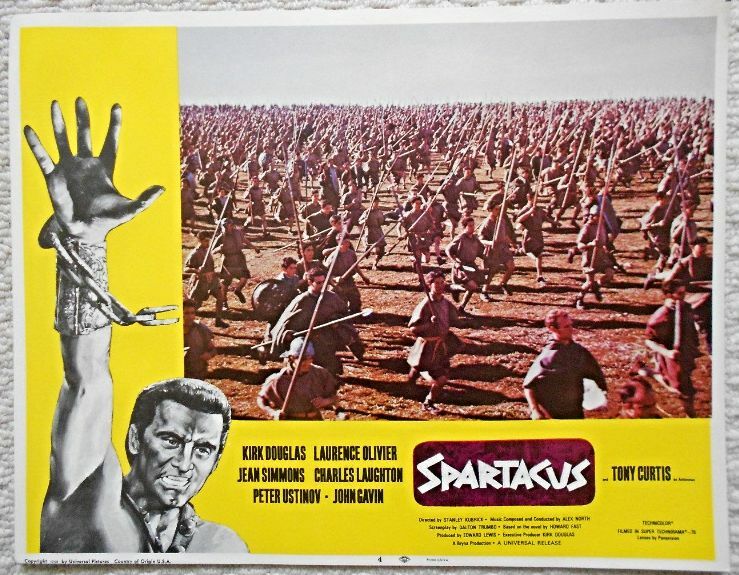 Spartacus was directed by Stanley Kubrick for Bryna Productions. History of film companies as defined by Wikipedia: Bryna Productions was a film production company established by Kirk Douglas, inspired by the success of Burt Lancaster in moving into production. Buster Keaton and Sherlock Jr.